The group led by Barrowland Ballet, provides opportunities to learn and develop skills in contemporary and traditional dance, music, singing, and theatre production. Leading up to creating and performing productions at national events and festivals. I am the soil from which they came, 2016, Refugee Festival Scotland, Seeds of Thought, CCA, Glasgow. Breakthrough, 2013, Go Dance 13, Theatre Royal, Media Launch Queen’s Baton Relay, Emirates Arena. 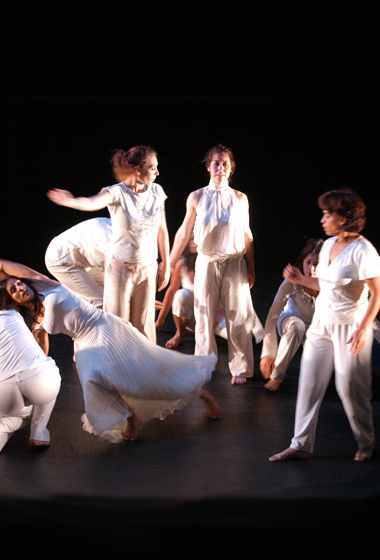 Lullaby Spirit, 2012, performed at Refugee Week, Tron Theatre, Black History Month, Centre for Contemporary Arts, Go Dance 12, Theatre Royal. Here I am, 2010, performed at Refugee Week, Tron Theatre, Black History Month, Centre for Contemporary Arts, Go Dance 11, Theatre Royal. Dannsa BBC Alba, created for and featured in a BBC Documentary, performed at Tramway. Home?, 2009 performed at Refugee Week, Tron Theatre, Black History Month, Centre for Contemporary Arts, Go Dance 10, Theatre Royal, Ethnic Minority Awards at Glasgow City Chambers and Glasgow Royal Concert Hall. 16 Days of Action, performed at Kibble Palace, Maryhill Community Centre and Woodside Halls. Songs of Home Songs of Hope, 2008 performed at Refugee Week, Tron Theatre, Gilmorehill G12, the Scottish Parliament, Glasgow Royal Concert Hall and Theatre Royal. Mother May I?, 2007 performed at Gilmorehill G12, St. Bride’s Edinburgh, Theatre Royal, Woodside Halls. To Glasgow With Love, 2006 performed at Gilmorehill G12 and St. Bride’s Edinburgh.